Barbara Balik, RN, EdD brings experience as a nurse, healthcare executive, mentor, and teacher to her work with healthcare clinicians and leaders to build systems and culture for quality, safety, patient-family experience, and staff-provider engagement. Recent partnerships involved developing skills and systems for patient-and-family centered care, excellent patient experience, reliable transitions in care, and development of effective quality infrastructures. The systems develop assure sustained improvement and innovation every day. Barbara has a BS and MS in nursing and a doctorate in educational leadership. Her previous roles include Executive Vice President of Quality, Safety, and Technology for a large health system; CEO of a large hospital and clinics; VP of Patient Care/CNO; pediatric nurse practitioner and labor/delivery nurse. Barbara is also Senior Faculty at the Institute for Healthcare Improvement, and member of the National Patient Safety Foundation Board of Governors. 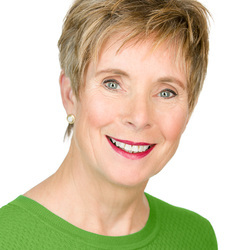 In all efforts, Kris’s overriding focus is to connect health care teams to a clear purpose, creating innovative strategies, resulting in measurable and sustainable impact for patients, colleagues and organizations. Her expertise in creating and sustaining innovation underlies her work with executive leaders, boards, physicians and staff. She has successfully embedded innovation in all facets of health care to achieve integrated and effective person-centered systems. Her work has consistently yielded high quality, lower costs and excellent experience. She works with cross-continuum healthcare settings to develop systems and processes to create cultures of innovation with tools and processes to implement and evaluate innovation within their organizations. Kris brings experience as a health care executive, clinician, educator, innovator, entrepreneur, and coach. Her most recent executive role was in a large integrated delivery system where she served as System Vice President of Patient Innovation and Patient Affairs as well as President of a wholly owned subsidiary responsible for innovation within the health system. She also is faculty at the Institute for Health Care Improvement.